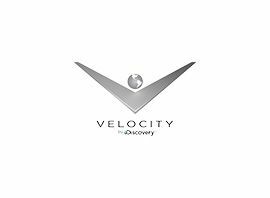 Velocity (formerly HD Theater and originally Discovery HD Theater) is an American high-definition, commercial-based, cable and satellite television channel owned by Discovery Communications. The channel specializes in nonfictional programming, focusing on cars, sports related shows, and other programming targeted at men ages 18?54. The channel launched nationwide in the United States on June 17, 2002, as Discovery HD Theater. The channel was rebranded to HD Theater on September 22, 2007, because Discovery Communications launched HD simulcasts of some of its other channels including Animal Planet, Discovery Channel, Science and TLC. On April 14, 2011, Discovery Communications announced that HD Theater would be re-launched as Velocity later in the year: aimed primarily at an "upscale male" audience, the network focuses primarily on automotive-oriented programming and other shows of interest to a male audience. The re-launch took place on October 4, 2011.